The Vaporesso SWAG 80W TC Box Mod offers a clean and compact system that utilizes the vaunted OMNI 2.0 board, featuring a versatile output range capable of outputting 5 to 80W. 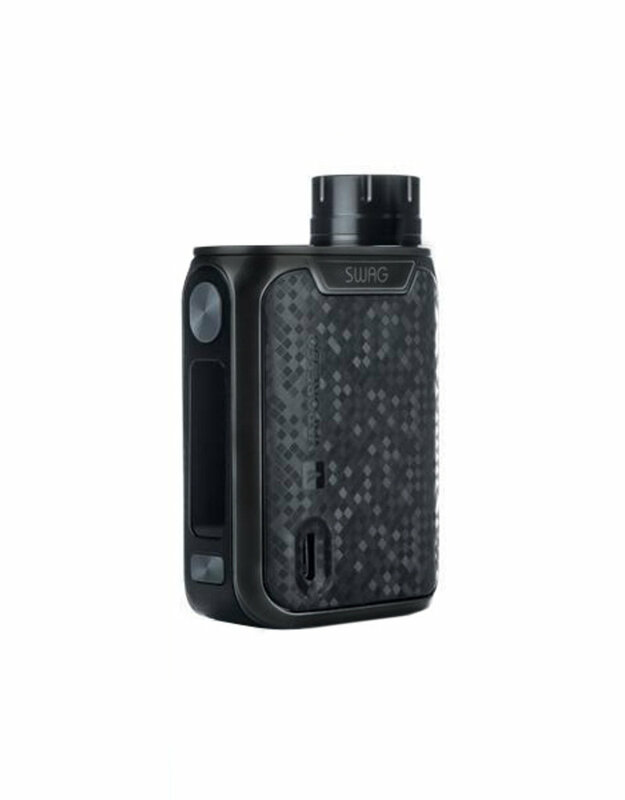 The SWAG supports a single high amperage 18650 battery (sold separately) accessed through the top battery cap and can be charged via USB up to 2.5V with quick charge. The upgraded OMNI 2.0 board, which is Vaporesso's premiere output system, and features six output modes with the new Customized Curve of Wattage (CCW) and Customized Curve of Temperature (CCT) modes adding a greater range of versatility and precision.